Fast food worker Terrance Wise rallies other fast food workers during a July 29, 2013 strike action in Kansas City. 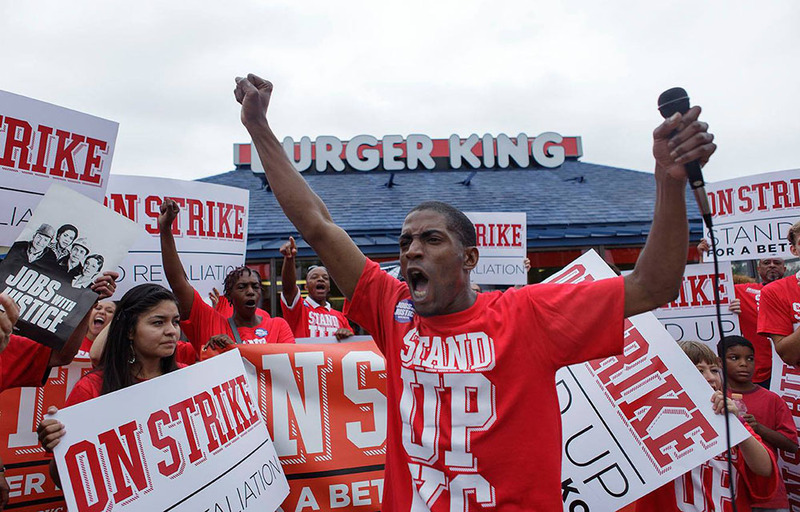 This was the first event at the first strike event by fast food workers in Kansas City. Wise works two fast food jobs to support his family. Belgian Company Duvel Moortgat Brewery recently purchased American craft beer brewer Boulevard Brewing Company in Kansas City. 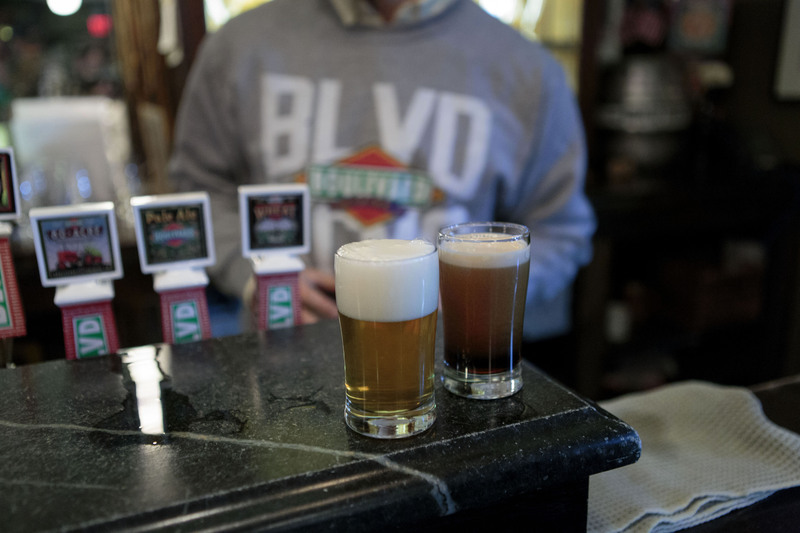 Boulevard Brewery is purchased by Belgian Brewer Duvel Moortgat. 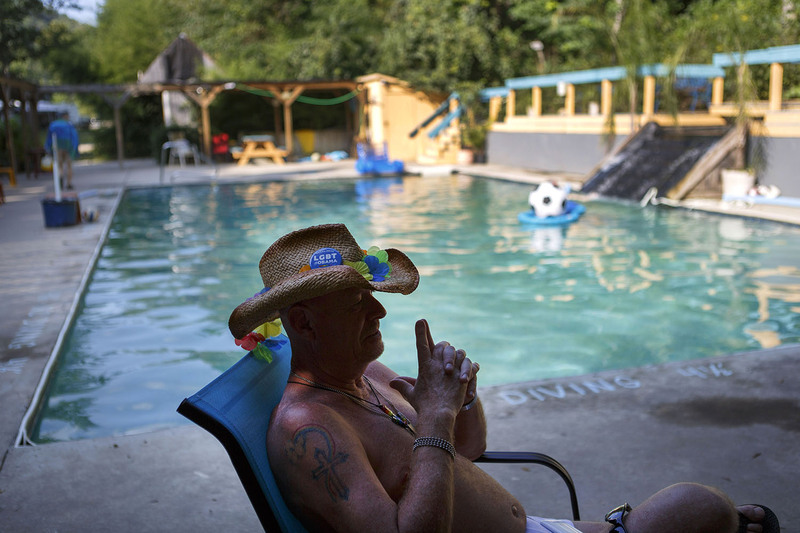 Rad Fountain, of Columbia, MO, talks with friends at the swimming pool at Cactus Canyon Campground Saturday. Near the Ava, MO, a small community nestled in the Ozarks, there are gay and lesbian communities that have grown there over the past few decades. About 15 year ago Cactus Canyon Campground was opened and is now called "The largest campground for men in the world!". Once a month at Local Pig, Alex Pope teaches a class on how to butcher a pig. Each student in the class gets the chance to make cuts on the pig and at the end of the class, everyone gets t to take home about 10 pounds of the meat they cut. Pope teaches the students in the classes, whom he says are made up of 90% men, about where each cut of meat comes from on the animal and how to properly make that cut. 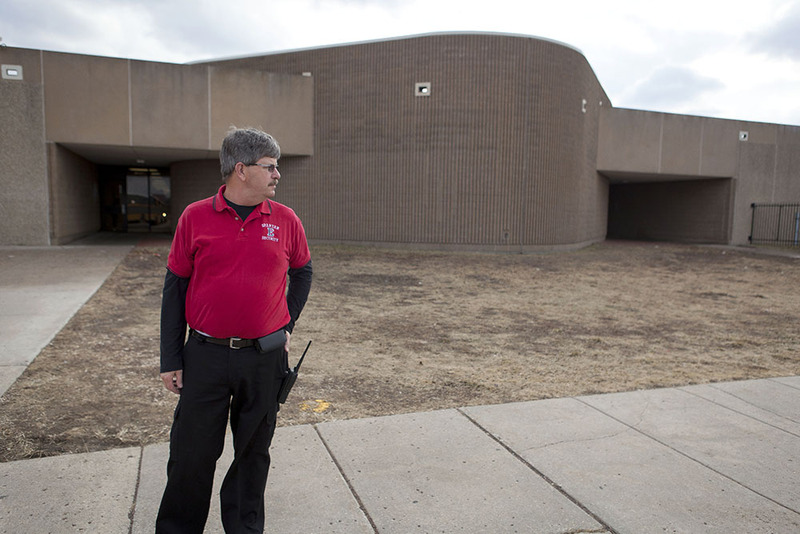 Emporia High School security guard Jeff Illk keeps an eye on students boarding the school busses as they head home after classes Monday afternoon. 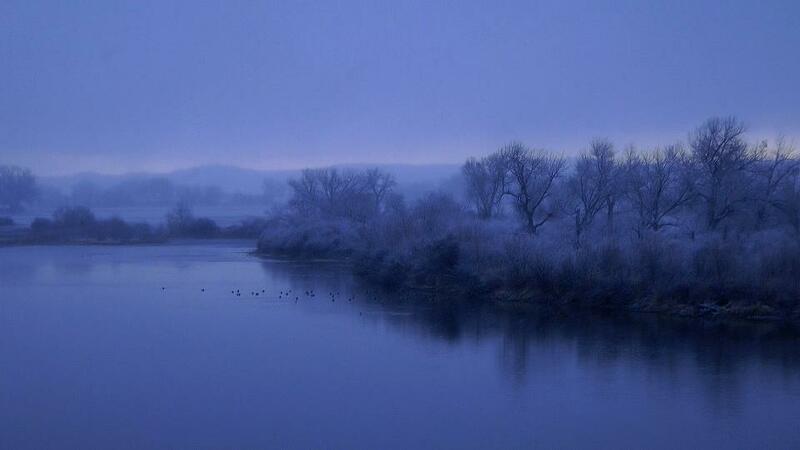 Morning on the Big Horn River before the duck hunting begins. 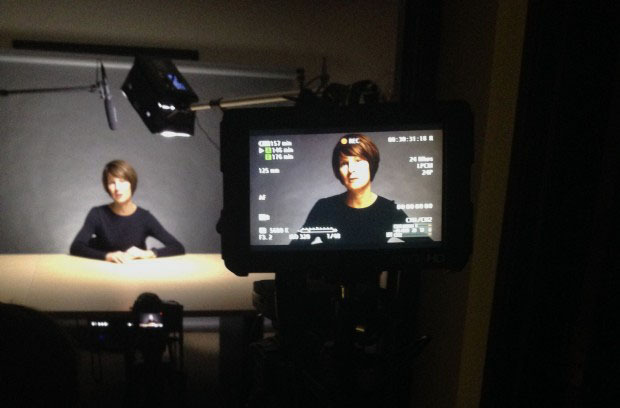 Jim and Cindy Butler have gone to lengths to find out the details of how their son was killed in Iraq on April 1, 2003. 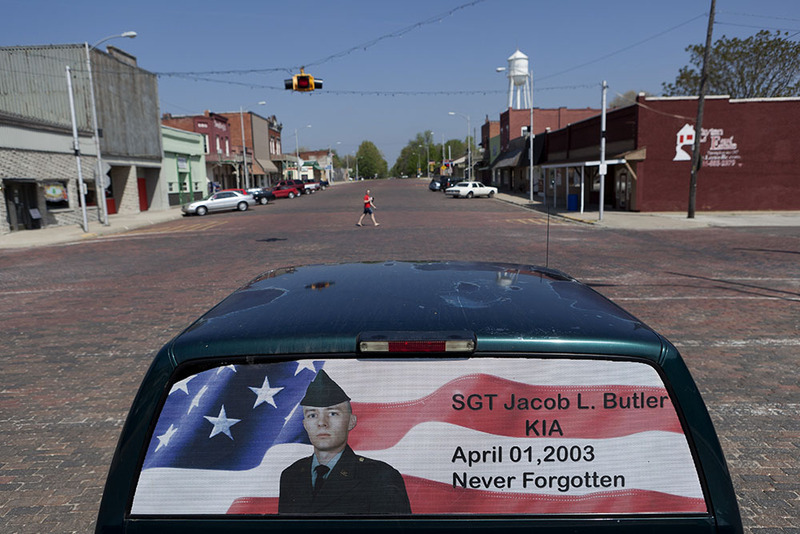 Their son, Jacob Butler, was killed in Samawah, Iraq and was the first soldier killed from Kansas. The details of Jacob's death were never clear to the Butler's so they have reached out to anyone who could get them answers. Jim has worked to flush out his son's story by talking to the men that were part of his unit and even travelled to Iraq to visit the spot of his son's death. About 100 well-wishers gathered for Saturday evening's kemem at the Marshallese United Church of Christ in Springdale, AR. 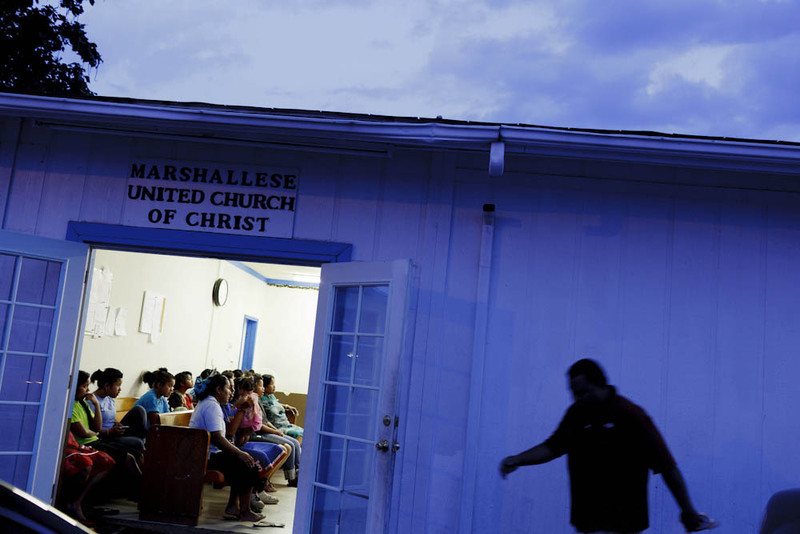 A new census report shows that Arkansas has the largest population of Marshallese people in the continental United States. Most of them live in Springdale, AR, in the northwest corner of the state. The Marshallese people are from the Marshall Islands in the Pacific Ocean between Hawaii and Australia. Many that come to the U.S. work at the chicken processing plants owned by Tyson Foods and others. The population will likely only continue to grow because the Marshallese people have unfettered access to the United States because of a "Compact of Free Association" between the two nations. 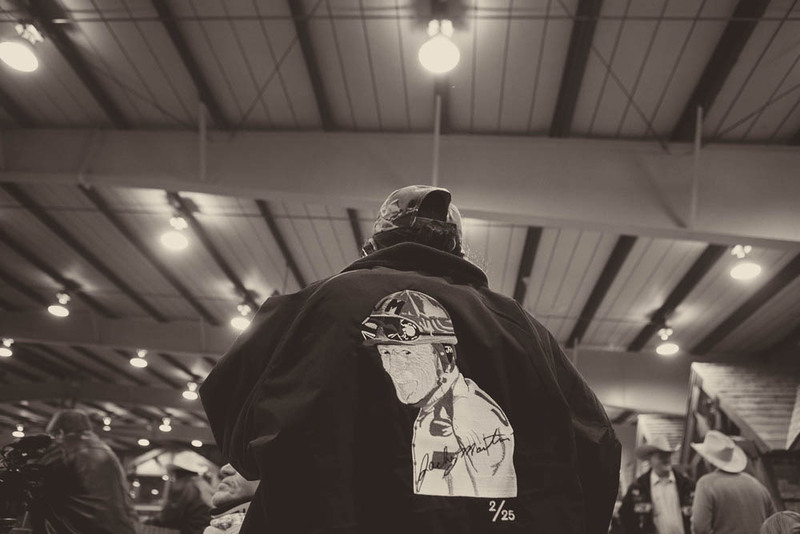 Legendary Quarter Horse jockey Jacky Martin was injured in a horse racing accident in September of 2011. The injury has left him a quadriplegic and relying on his wife Tracey Martin for all of his care.